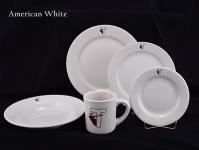 American White is perfect for the customer seeking a more traditional look to their tabletop, ITI's American White is what began the legacy that continues today in ceramic dinnerware. Available in Rolled Edge, Narrow Rim and Embossed shapes. American White offers value and functionality that you will appreciate. 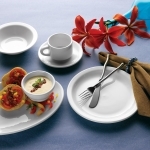 Let us create your custom decorated dinnerware with ITI's American White line. Made from an exceptional mixture of clays, International Tableware's bright white porcelain is a premium, sophisticated body specifically designed to bring a state-of-the-art style to any environment. International Tableware's European White collections are sure to complement and enhance a variety of cuisines offering many combination possibilities. 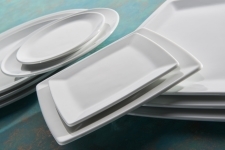 Competitively priced and artistically designed, our European White tableware is sure to deliver a fresh design without compromising performance or durability.